When: February 02, 2003. Registration @10am, Race @ noon. Where: The Forks Historic Site, Winnipeg, Manitoba, Canada. 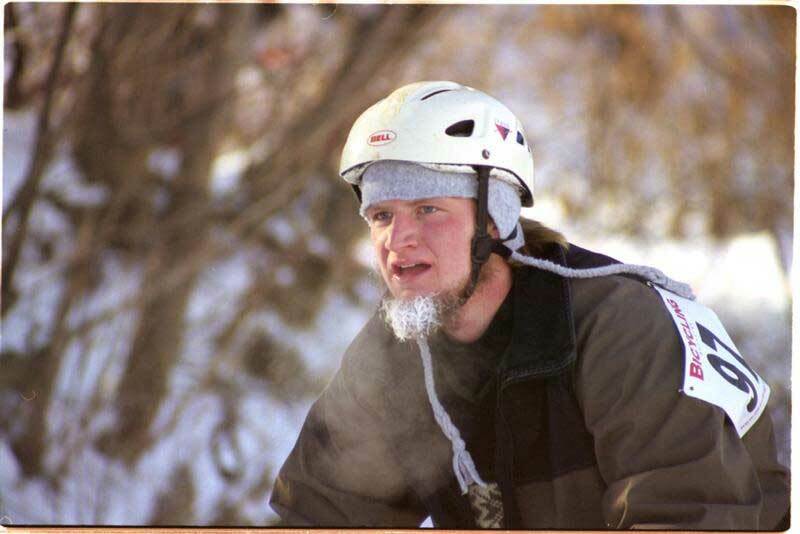 Cost: $15 race fee (includes Icebike toque if you preregister). 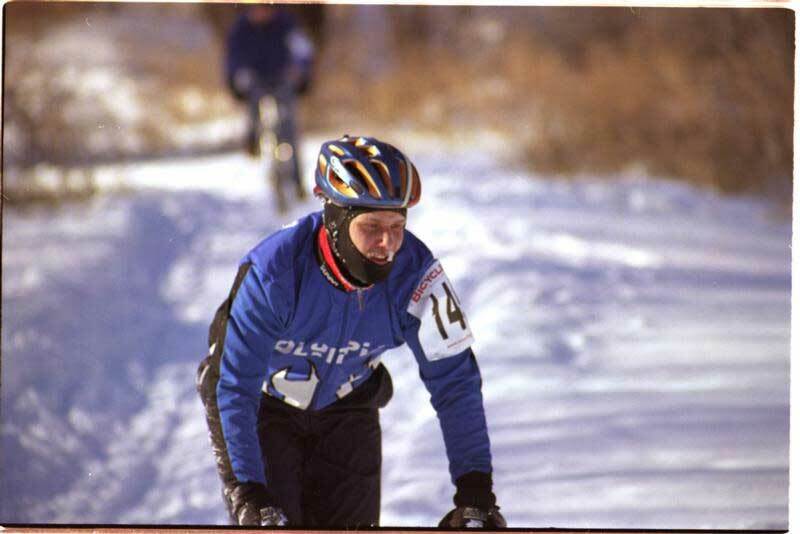 This year is the 5th annual ICEBIKE EVENT and each year the course gets better and the turnout gets bigger. 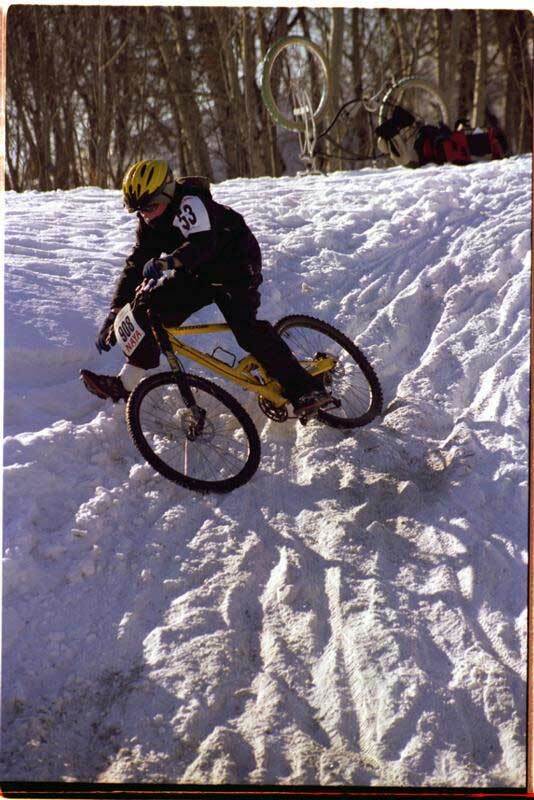 Expect open ice, snow, ruts, steep descents and to dismount at least once. With three distance categories to choose from (aprox. 3, 10, and 20 kms?) there is no excuse not to sign up. Entry forms are available here. Also, for the first time this year, there will be a special category for kids 12 years old and under. The course will be appropriate in distance and difficulty. Anything you can bring to help would be greatly appreciated. When: February 01, 2003. 7pm. Price: $5.00 per person, that's cheap! Food is provided by the Old Spaghetti Factory and Bread and Circuses. Register by entering the race or by visiting Woodcock Cycle Works. Register soon because it will fill up fast. Where else are you going to eat for $5.00? There will also be a virtual reality trainer to try out, a game bike-hook up to PS2 to demo, and a number of energy bars to test drive and give your feedback on! If you're making the trip to Winnipeg and are staying for more than the day, the Norwood Hotel (www.norwood-hotel.com) is again offering a special rate for people involved in the event! $78/night based on 1-4 people occupancy. The Norwood has all the amenities including a restaurant and bar. It's also just a five minute bike ride from the race site. 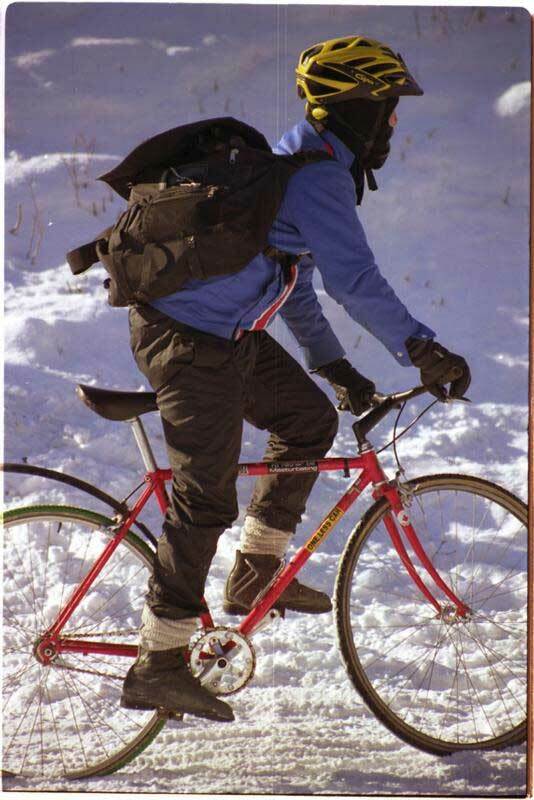 It makes for a nice warm up ride, you're going to need it. 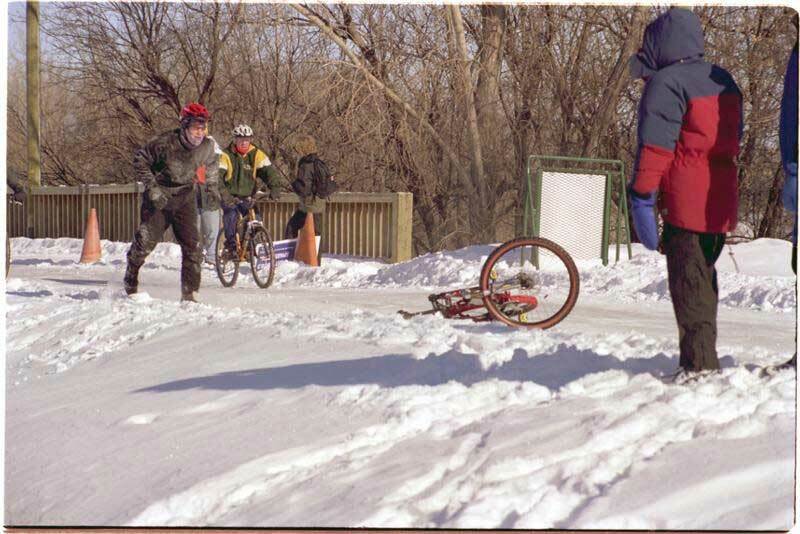 Just don't forget to mention that you're participating in the Icebike event when you book over the phone or online. That's the only way to get the special deal. Click on the thumbnail to see the full size pictures. 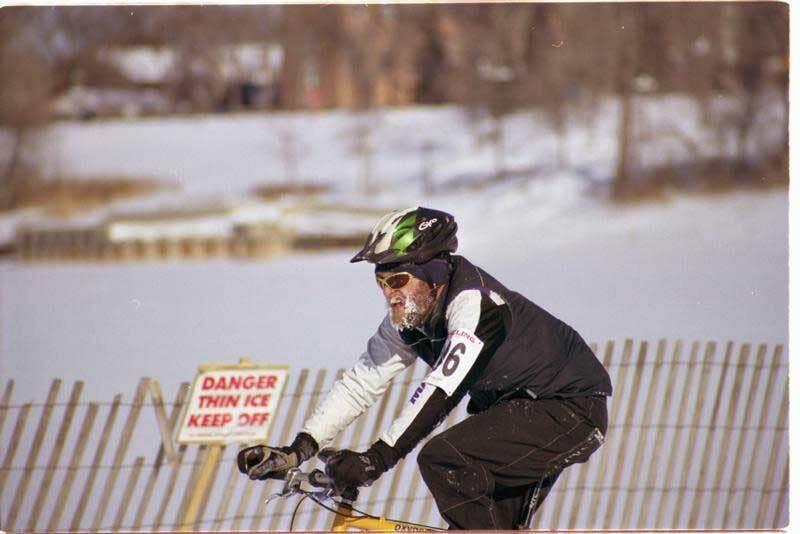 Ice Bike Website - Huge site with tips on winterizing your bike, dressing for the weather, not crashing, and lots more. 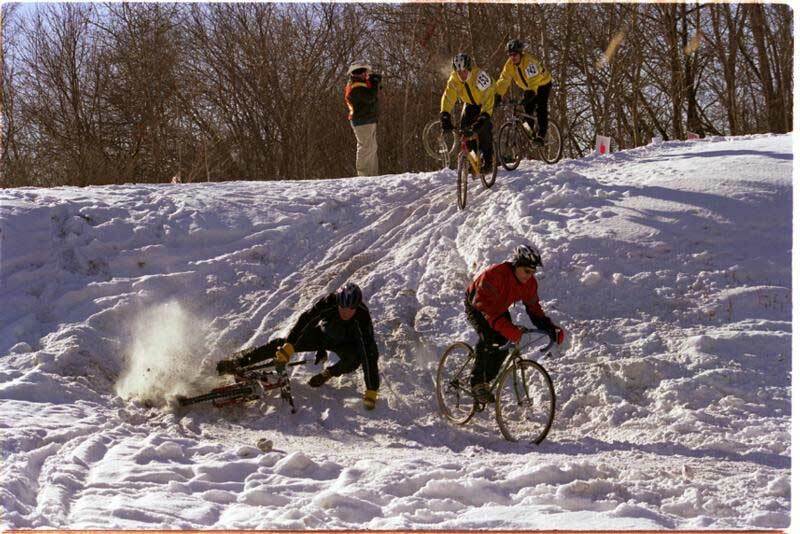 A must visit if this will be your first Icebike Event. 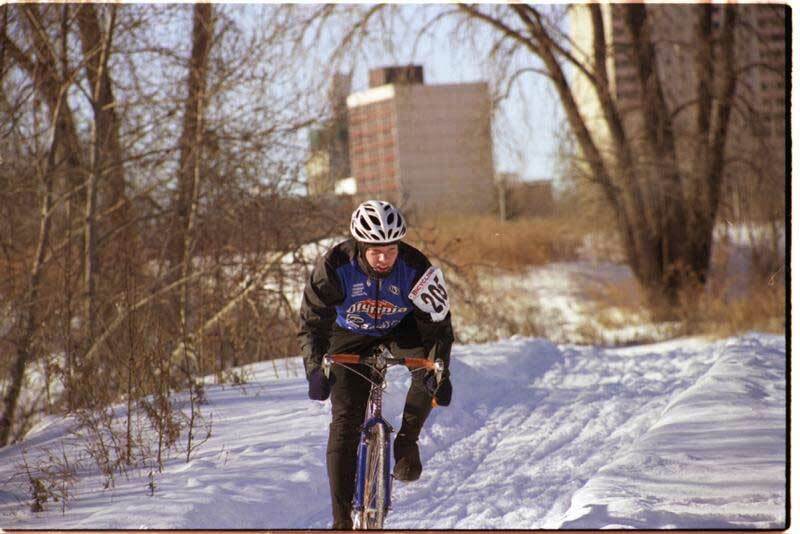 Manitoba Cycling Association - Get local news, info, tips and stuff. Cars-R-Coffins - Bicycle, Punk Rock, Action.